The Academy Award winning Ida (2013) is an example of the grim seriousness associated with Polish cinema, a sober reputation earned during the Soviet era. The Lure (Córki dancingu 2015) could change all of that. Screened at AFI Fest 2016 at a midnight show that became the talk of the festival, it’s a raucous mermaid/vampire dance rock musical. Long before Disney’s The Little Mermaid (1989), there were mermaid themed movies. In 1948, there were two. 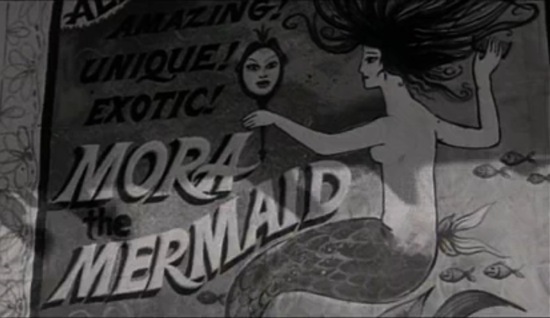 Miranda starred Glynis Johns as a mermaid who convinces a doctor to show her the big city. 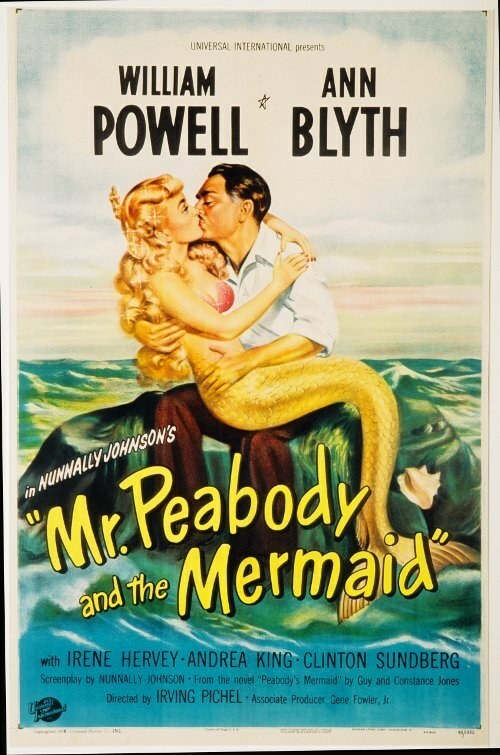 Mr. Peabody and the Mermaid had a similar theme of interspecies love with William Powell as the title character and Ann Blyth [Mildred Pierce (1945)] as the mermaid. In Night Tide (1961), Dennis Hopper is a sailor on leave. At the Venice boardwalk, he meets a mysterious young woman, Mora (Linda Lawson) working as a carnival mermaid which may be more than an act. She’s alluring but her past two boyfriends have wound up dead. Mermaid sightings were rare until 1984’s Splash with Tom Hanks and Daryl Hannah. Directed by Agnieszka Smoczynska from Robert Bolesto’s screenplay, The Lure revives the mermaid romance, adding a frenetic vampire element that fans of the Twilight series will surely appreciate. Hearing Hollywood’s siren call, two mermaid sisters, Silver (Marta Mazurek) and Golden (Michalina Olszanska) swim for shore, finding not Tinsel Town but a Warsaw nightclub. Silver (in Polish Srebrna) falls for blond bassist Mietek (Jakub Gierszal) and fights against her vampiric urges trying to stave off tragedy. Dark-haired Golden (in Polish Zwota) is more practical minded and never forgets her responsibilities and origins beneath the sea. Cinematographer Kuba Kijowski, production designer Joanna Macha and costume designer Katarzyna Lewinska create a fantasy world of striking colors that we’ve never seen before, at least here in the U.S. THE LITTLE MERMAID never looked like this.